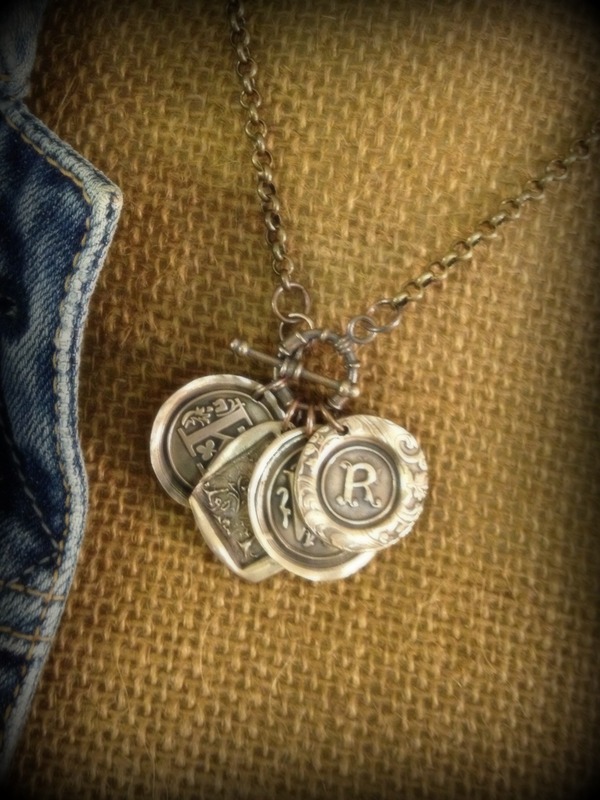 Description Bronze initials dangling from toggle on rolo chain. Choose as many or as few initials as needed. You will receive different style initials including square and/or round, if only one initial is ordered you will receive square ornate initial unless otherwise noted on order. Price listed is for ONE INITIAL, each additional initial is listed at $25/initial. If more than 5 initials is needed please contact me at 337-652-3434.